Mikhail Shalamov aka innerpsy demonstrates his session review process with a focus on detecting previously undiscovered leeks in his game. Jan. 13, 2018 | 5 p.m.
Mikhail Shalamov aka innerpsy reduces the volume to a pair of zoom tables aiming to deliver more detailed discussions when interesting spots arise. Dec. 30, 2017 | 5 p.m.
Mikhail Shalamov aka innerpsy loads up three $2.50/$5 zoom tables with the replayer and comments in real time on this action packed live play session. Dec. 16, 2017 | 5 p.m.
Mikhail Shalamov aka innerpsy comments live as he plays a 3-table session. With many hands going to the river, there is plenty to learn about postflop play. Dec. 2, 2017 | 5 p.m.
A dangerous shark swims in the NL 500 zoom pool when Mikhail Shalamov aka innerpsy enters 3 tables taking you along for the ride. His thought processes is on display as he aims to bite off chunks of money dropped by his opponents. Nov. 18, 2017 | 5 p.m.
Mikhail Shalamov aka innerpsy starts off his live play analysis with NL500 zoom action later on electing to add NL600 and NL2000 tables as he spots attractive lineups. Nov. 4, 2017 | 5 p.m.
Mikhail Shalamov aka innerpsy breaks down his live play at a mix of NL500 zoom and NL400 regular tables. Facing a mixed pool and adapting to recreational players unique approaches like isolating limpers is discussed throughout the video. Oct. 21, 2017 | 5 p.m.
Mikhail Shalamov aka innerpsy grinds three NL500 Zoom tables in this session loaded with close turn and river decisions in medium-sized pots affording him the opportunity to share his strategy in what he feels is one of his stronger areas as a pro. Oct. 7, 2017 | 5 p.m.
Mikhail Shalamov aka innerpsy breaks down two tables of NLHE $500 zoom action. With lots of premium hands, the focus is on 4-betting strategies and extracting max value with your strong holdings. Sept. 23, 2017 | 5 p.m.
Mikhail Shalamov aka innerpsy plays a live session at $2.5/$5 NLHE Zoom. Throughout the video he finds himself in countless spots facing recreational players and weaker regs which makes him deviate from his standard strategies. Sept. 9, 2017 | 5 p.m.
Mikhail Shalamov aka innerpsy breaks down the action as he battles the player pool at $500 Zoom NLHE across three tables. Aug. 26, 2017 | 5 p.m.
Mikhail Shalamov aka innerpsy loads up a 3 table session at $500 zoom and comments in real time against a touch player pool. Aug. 12, 2017 | 5 p.m.
With only 25 players in the pool, Mikhail Shalamov aka innerpsy finds himself routinely pitted against the same opponents in this live action $500z session. July 29, 2017 | 5 p.m.
Mikhail Shalamov aka innerpsy breaks down 3 tables of $500 zoom in real time against a relatively tough player pool. July 22, 2017 | 5 p.m.
Mikhail Shalamov aka Innerpsy concludes his 3 part series of 4 tables at $500 zoom. July 8, 2017 | 5 p.m.
Mikhail Shalamov aka innerpsy continues reviewing the footage from a previous 4 table, $500z session. He found himself particularly tired and looks to find leaks that occur in his game when he might not be on his A game. June 24, 2017 | 5 p.m.
Mikhail Shalamov aka innerpsy begins a new series chronicling his play at the $500 Zoom tables. He focuses on identifying leaks in the hopes of improving his game when he's not feeling like he's playing well. June 10, 2017 | 5 p.m.
Mikhail Shamalov aka innerpsy shares his thoughts on the action as he takes on the player pool at the $500 Zoom NLHE games. May 27, 2017 | 5 p.m.
Mikhail Shalamov aka innerpsy jumps into the $2.50/$5 zoom pool with three tables and the replayer. The video begins with him touching on a hand in the replayer that was played just before the start of the recording. We see a fairly polarizing number of hands where Mikhail finds himself either at the bottom of his range or very near the top making the decision to go for value or bluff simple but the question of bet size a difficult one. May 13, 2017 | 5 p.m.
Innerpsy breaks down the $500z action in real time. April 29, 2017 | 5 p.m.
Innerpsy takes a look at a 3 table session at $500z. April 15, 2017 | 5 p.m.
Mikhail discusses his pay in real time as he battles the player pool at $500 Zoom NLHE. April 2, 2017 | 5 p.m.
Innerpsy breaks down a session against a reg-filled zoom pool. March 18, 2017 | 5 p.m.
With plenty of action in the player pool, innerpsy sticks to a 3-tabling Zoom session. March 4, 2017 | 5 p.m.
Innerpsy discusses his decision-making process in this live three-tabling zoom session. Feb. 19, 2017 | 5 p.m.
innerpsy analyzes an action-packed session as it happens in real time. Feb. 5, 2017 | 5 p.m.
innerpsy is back with a three-tabling $500 Zoom session analyzing his play in real time. Jan. 22, 2017 | 5 p.m.
Mikhail continues to examine his $500 Zoom NLHE session, this time focusing on how to maximally exploit recreational players. Jan. 8, 2017 | 5 p.m.
innerpsy continues his four table review playing among the $2.5/$5 NLHE Zoom pool. Dec. 25, 2016 | 5 p.m. 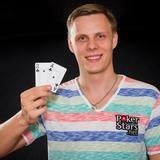 In this session, innerpsy finds himself in more 3-bet and 4-bet pots than usual. Dec. 11, 2016 | 5 p.m.